Toledo! You’re in luck! Arps Dairy is coming your way. 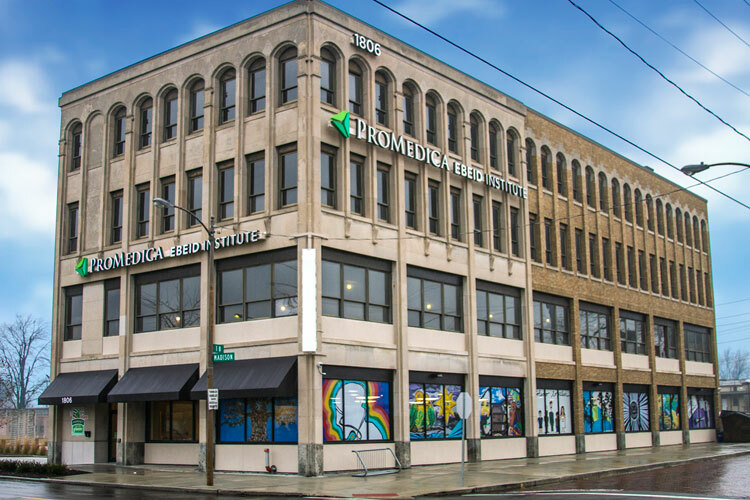 Be on the lookout for the following Arps Products to be popping up on the shelves at the Market on the Green at ProMedica Ebeid Institute in Uptown Toledo. Arps Dairy hopes that you are as excited as we are to be a part of a local supplier of wholesome healthy foods. At the market, you’ll find fresh, local produce and foods, as well as fresh meat, dairy, locally baked goods and frozen foods. We are proud to offer our products and hope you enjoy them as much as we do. Be sure to check out these products the next time you are at The Market on the Green. Arps Farm Fresh White which features a clean label with the only ingredient being milk. It is as close to ‘straight from the farm’ as one can get. Arps Farm Fresh Chocolate which features the same wholesome milk as the Farm Fresh White with added cocoa and real granulated sugar – never artificial high fructose corn syrup. The Farm Fresh Chocolate is the perfect post-workout drink to refuel your body and deliver high quality proteins and other essential nutrients. Arps Sour Cream which is perfect when you need to add a cool and tart note to a dish or take some of the heat out of a spicy recipe. It’s rich and smooth texture is a star performer on baked potatoes, Mexican cuisine, spreadable dips, chili, nachos, salad dressings, even cheesecakes and frosting! Arps Cottage Cheese which is hand crafted by our artisan cheese maker. Arps cottage cheese is light, fresh-tasting, and an excellent addition to any breakfast table… not to mention it is also a great source of locally sourced protein! Arps French Onion Chip Dip which is rich, creamy, slightly sweet, a little bit salty, and full of multi-layered big flavors. It goes well with just about everything – dipping chips, crackers, pretzels, or even your finger! In fact, it even makes for a tasty veggie dip as well. Also, ALL of Arps Dairy products are certified under the supervision of the Kashruth Division of the Orthodox Union and are therefore kosher. Do you sell dry cottage cheese? I’m going to have someone from our sales team reach out to you to discuss this with you. The short answer, though, is yes, we do have dry cottage cheese. It’s not an item that we stock on hand, though, so it would need to be ordered ahead of time and made special. I went to The Green at ProMedica Ebeid Institute earlier today and all that was in stock was Choclate milk with a June 1st date on it…..no other Arp’s products. Are the out of stock products white milk, cottage cheese and chip dip selling briskly or is this a failed location for sales? My apologies for a late reply to your question. That store is serviced by a distributor partner of ours who frequents the Toledo area much more often than we do. I’ve passed this info along to our sales team and hope to have the stocking issue resolved very quickly. Thanks for bringing this to our attention.